Cast: Anne Hathaway, Robert De Niro, Rene Russo, Anders Holm, Adam DeVine. Nancy Meyers has created a name for creating women centric movies that target the people of the older generation. 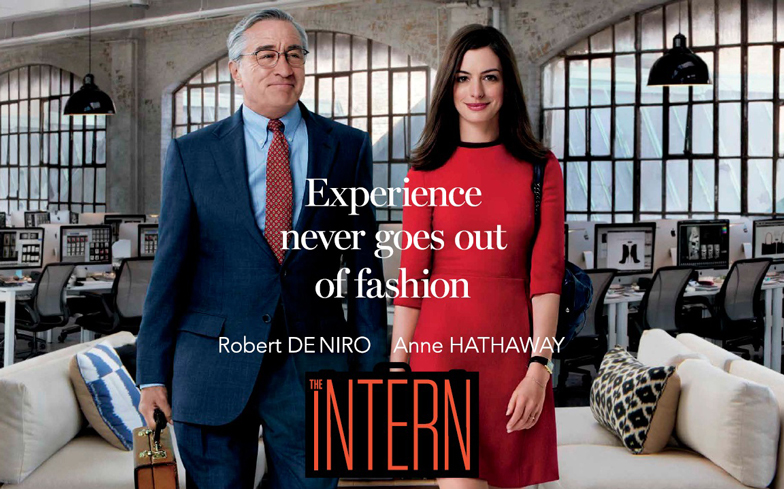 The Intern is yet another feel-good comedy with a similar theme and stars Anne Hathaway, Robert De Niro, Rene Russo, Anders Holm, Adam DeVine. The movie was released in theatre on 25th September 2015. The movie tells the tale of an elderly widower Ben Whittaker played by Robert De Niro, who feeling tired of living a retired life seeks a new job. He applies for the senior internship program being run by an e-commerce venture named “About the Fit” and soon end up meeting its young owner Jules Ostin played by Anne Hathaway. Notorious for her habit of overworking in the office, Jules initially behaves in a rude and cold manner towards Ben. But soon she comes around as the years of experience, wisdom and confidence of Ben help her overcome some tough situations. Despite her initial skepticism, Jules soon develops a beautiful and strong friendship with Ben irrespective of their age difference and thanks to the appealing nature of Ben. The Intern is a simple movie that is quite enjoyable and truly entertaining and touches the heart of most viewers in a happy manner. The lead cast of Robert De Niro and Anne Hathaway has done full justice to their characters, which have been well crafted to begin with. Even the supporting cast has added to the likability factor of the movie with their great performances. Director Nancy Meyers needs to be appreciated for having the courage to defy convention and create this beautiful movie that provides good entertainment to the audience. Overall this movie is one that one can sit back and enjoy with family and friends and IndiaCafe24 gives The Intern a rating of 3.5 stars.